About The Butterfly Garden - a project for people of all ages dealing with disablement of any kind. There was never a plan to set up the project, at least not until the summer of 2002 when six young autistic students were visiting a small commercial Nursery and garden centre on the outskirts of Cheltenham. They came, innocently enough, seeking gardening advice and unwittingly became the pioneer founders of 'The Butterfly Garden'. Invited to return and with guidance they teased life into a small, previously unused patch.... and people heard about it. 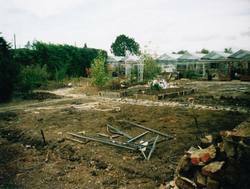 By November, a quarter of an acre of overgrown, derelict land was fenced off. A development plan was drawn up and as the months advanced the once tired and empty space was transformed. Today the garden extends across more than four acres. It weaves and entwines with 'the original business' (that still operates) and there is an emulation and sharing of daily tasks, that makes the experience very real. Now, over one hundred students attend each week. Many are referred by colleges, schools, day centres and NHS support agencies, whilst others are guided by friends and family. There are students on site every day and together they have transformed a wilderness and helped to shape a stimulating garden experience, with terrific resources. The Butterfly Garden is no longer just about gardening though. As the project has evolved, people have just turned up offering help and services (amongst them teachers and care workers) and today the provision is both diverse and stimulating. 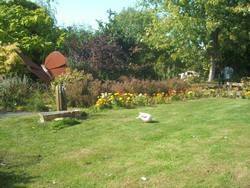 We have volunteers supporting art, music, woodwork and catering as well as the gardening. Introduction and induction for new students and volunteers. We have regular connection with Milestones, Betteridge and Alderman Knight Schools. With GLOSCOL, Stroud College and Star College. We are getting referrals constantly through Social Services and various departments attached to the NHS. Groups come in from Care Homes and from Day Centres. The Management of The Butterfly Garden. The Charity is managed by a team of dedicated Trustees. The Trustees (whose activity is defined by our constituition) meet on a regular basis to discuss the ongoing development of the project and have an Annual General Meeting each spring. Our current Trustees are : Mr Chris Evans (Chair), Mrs Jackie Etheridge (Secretary), Mr Michael Hennessey, Mrs Sandra Jollans, Mrs Lauren Hayes, Mrs Eileen Riddell, Mrs Sarah Sutherby and Mr Kelvin Tustin. This group is supported by a strong Accountant. Mr Roger Curtis (of Holbrook Curtis Chartered accountants of Cheltenham) The activities are run and managed on a daily basis by the project coordinator Mr Chris Evans, with help from teachers, support workers and a team of quality volunteers. 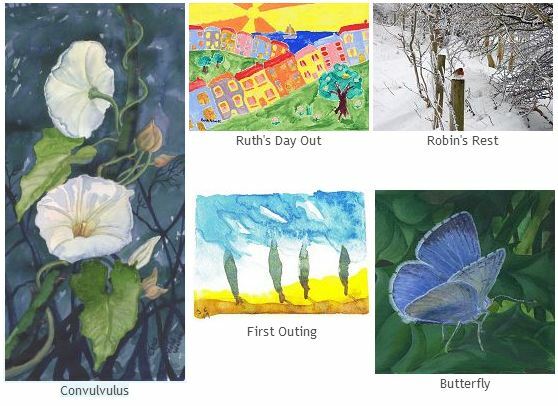 We warmly invite contact from interested parties, which can be directed to the trustees or to the 'day' team here or by telephone on 01452-713068 or by post to The Butterfly Garden, The Brambles, Bamfurlong Lane, Cheltenham, Glos. GL51 6SL. All departments are grateful for resources and we are pleased to receive materials for any of the activities. From art supplies to woodwork tools. We are always looking for second hand goods for our charity shop "FLUTTERBUYS". We struggle with space for clothing, though we do hold a pool of hats, gloves and scarves for student use. Anything and everything else seems to sell, generating very useful money for the garden. We welcome volunteers, either to assist with the work, to help our regulars or to commit to behind the scenes activity. We are always grateful for financial support too and are delighted when supporters choose to fund raise on our behalf. We are keen to be involved, so do let us know if you need help. We also have some supporters who offer donations, we are a charity and therefore qualify for Gift Aid relief and we are registered with Just Giving (a direct donation arrangement, there is a link in the box on the right.). Thank you for your interest and do contact us directly if you have any queries. Donations to The Butterfly Garden can now be made via Gift Aid, a Gift Aid form is available here. Donations to The Butterfly Garden can now also be made online via credit card or PayPal. Donations can also be made from your mobile phone with "Just text giving" find out how here.